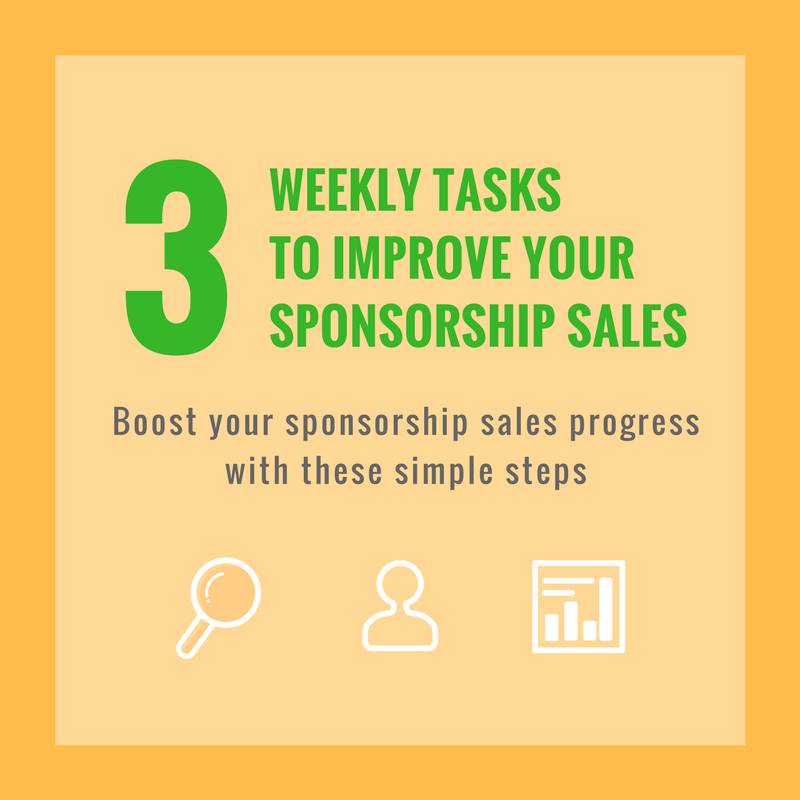 Looking for simple ways to improve your sponsorship sales on a weekly basis? Complete these 3 manageable tasks consistently and make a noticeable impact on your bottom line! Does your event or organization have sponsors from a variety of industries, or are they all from the same sector? The attendees of your events are the potential customers of a number of different businesses in your area, including healthcare providers, grocery stores, auto dealerships, real estate firms, health & fitness clubs, and insurance agents. By diversifying your partners, attendees of your events will receive unique messaging and promotions from the types of businesses they frequent. Are there sponsors who have not yet renewed or who did not participate last year? Connect with them to hear their feedback from past involvement and to share this year's event dates. Also, review who you've already sent information to and check in to see if they have questions about the opportunities you shared and whether they're still interested in beginning a partnership with your organization. Log your progress from today's efforts, update your CRM, and identify next steps. This will prepare you for your next round of outreach and prevent you or anyone else on your team from duplicating efforts. Who knows - you may even be inspired to repeat steps 1 and 2 now that you're seeing results! 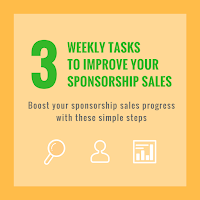 Just think - if you follow these steps twice a week, you'll have 24 new sponsorship prospects in your database each month! Learn how our software can help you save time and generate more money for your events at HelpGetSponsors.com. HelpGetSponsors.com. Simple theme. Powered by Blogger.